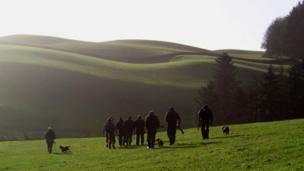 A selection of your pictures of Scotland sent in between 12 and 19 February. 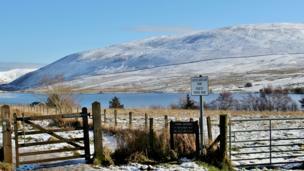 Eric Donaldson, from Edinburgh, spent the day by Harlaw reservoir in the Pentland Hills. 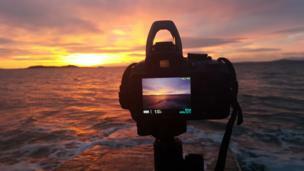 Send your pictures to scotlandpictures@bbc.co.uk. 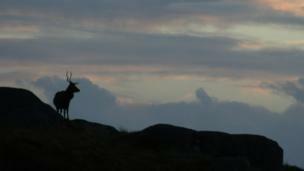 A stag at sunset on the road out to Hushinish, Isle of Harris. Photo by Sarah Taylor-Gerloch. 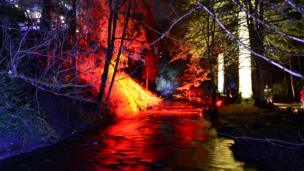 Caroline Poynts, from Neilston, visited Electric Glen in Rouken Glen Park. 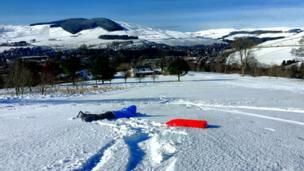 Douglas Lindsay said Monday was a day of fun while sledging in Galashiels. 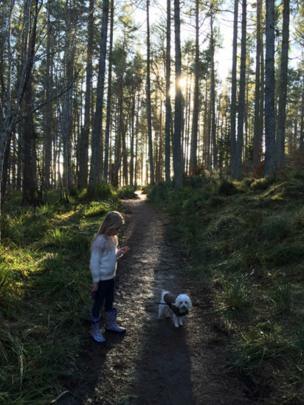 Ruby walked Tilda the dog on Craig Phadraig, Inverness, with dad Alex MacLarty. 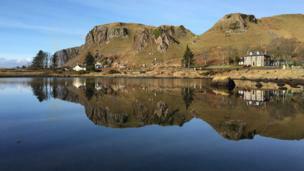 A calm Easdale on Monday before a wet and windy Tuesday, said Jim Sutherland from Ballachulish. Budding photographer four-year-old Alyssa took this photo, in Edinburgh, unaided says mum Anna Bennett. 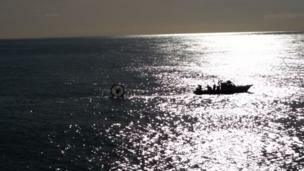 Zorbing off the coast of Portpatrick. Photo by David Lock. Lecropt Church in Bridge of Allan. Catriona Oates was there on Sunday. 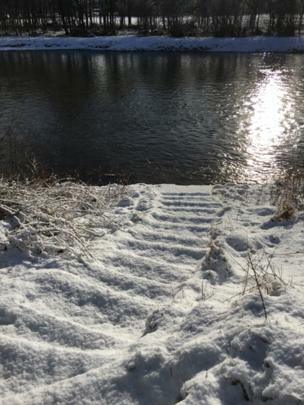 Stairs to nowhere? Neil Smillie said most of the path by the river, in Aboyne, has been washed away. 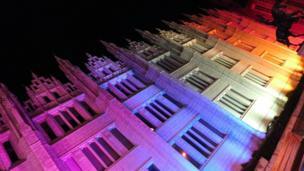 Aberdeen's Marischal College was illuminated during the Spectra Light Festival. Andrew Robb was among the visitors. 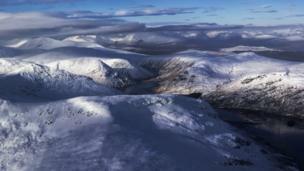 An aerial view of Loch An Daimh, north of Glen Lyon. Roy Macintyre said Rannoch Moor is in the distance. Henry Mosey, from Kirkcudbright, watched a shooting party set off near Castle Douglas. 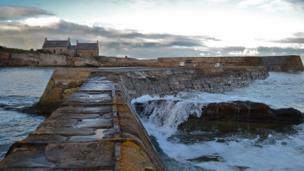 Cove harbour was an ideal spot for Sharon Bunyan, from Chirnside, to blow away the cobwebs of a busy week. 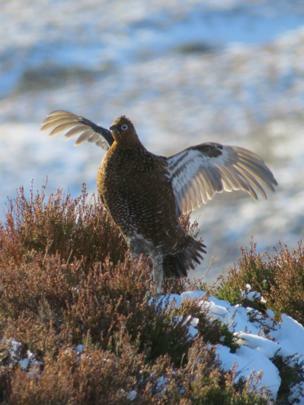 A red grouse joined Steve Reddick, from Aviemore, on Dava Moor near Carrbridge at the weekend. 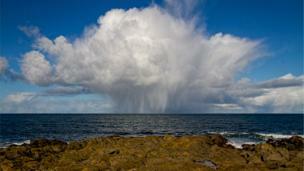 A snow cloud off the coast of Inverallochy. Brian Sandison, from Fraserburgh, spotted it on Sunday. Day breaks over Dalgety Bay and across to Edinburgh. 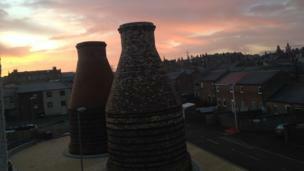 Simon Philp was alerted to the sunrise by his fiancee. 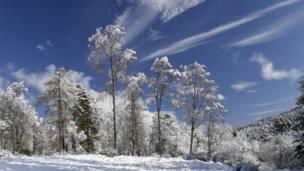 Snow blanketed Glen Taner on Saturday. Photo by Murdo MacDonald from Aboyne.